Game developer Rare recently announced that it is giving the players of online multiplayer video game Sea of Thieves to invite friends to join them for free for a week. 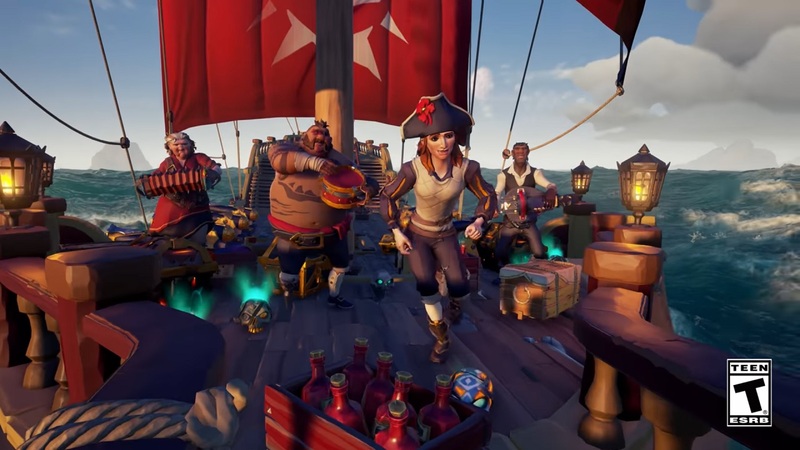 To celebrate the one year anniversary of the video game, Rare has decided to allow its players to invite their friends to join them in their gameplay. The conditions are that they can only invite three people and it will be limited only for a week. They can play the game for a limited time for free. The latest episode of Microsoft’s Inside Xbox revealed this great promotion for its game and they called this invite event Friends Play Free initiative. Players will get three invite codes that they can give to their friends that allow them free access to the game for only a week. The event will run from Feb. 6 until 13. The offer is available to any player of the game either owning a physical or digital copy. They only have to go to the official website of the game and log in their Microsoft account to generate the three codes. The game is now available on Xbox One and PC.